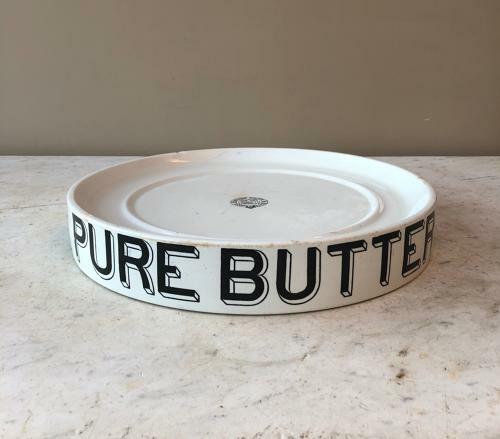 Edwardian White Ironstone Grocers Display Slab for PURE BUTTER. Makers Stamp Centrally on top (always nicer than underneath). "WILLIAM SALTER. SHOP FITTER. Show Rooms. New Cut. Lambeth. London. SE"
One star crack centrally but it is surface only doesnt go through - see pics of underneath. GREAT typography. Can be posted Special Delivery Tracked and Signed For Next Day for £28.